Drop in and get help with your research! No appointment needed. Brookens Library is now offering drop in research help every week. Academic research is a multi-step process that isn’t necessarily linear. While there’s no “right” way to do academic research, we realize that researching can be overwhelming and want you to know that we are here to assist you. Stop by the main level and get help with your research needs from one of our talented Librarians. We can assist with every step of the research process – from developing your research topic to helping you track down those hard to find citations. Undergraduate, Graduate or UIS staff, we’ve got you covered. Put out skills to your use. We’ll be offering this service through the remainder of the fall semester and then again in the spring once school resumes. It’s March Madness and the perfect time to help you get to know another Brookens Librarian. This month we are featuring Nancy Weichert! Nancy is a Visiting Assistant Professor at Brookens Library. She earned her Masters in Library & Information Science from Dominican University in 2006 and has brought a wonderful and unique point of view to the library. Her love of librarianship is evident and she brings a positive, encouraging attitude to the workplace. Nancy is a joyful individual who finds pleasure in many things. One of her greatest loves is her sweet daughter Mazie, who is just over a year old! She is able to successfully balance being a professional librarian and a mother, making the juggling act seem effortless. Motherhood has given her a level of patience and understanding that benefits the students, staff, faculty and community members she works with. Nancy loves the outdoors, the crisp air, the sunshine, so naturally she enjoys a good walk and riding her bike. She also enjoys gathering with good friends and enjoying quality, local food that has been respectfully grown and distributed. Though she refers to herself as a little “hippie dippie”, Nancy has been known to enjoy ridiculous reality television programs like Bravo’s “The Real Housewives” series!!! We should mention she also likes more respectable programs as well, such as “Dexter”. In her work at Brookens she is always exploring what’s new in technology and is helping expand the Library’s social media offerings. Instruction is another one of her key interests. Nancy often provides educational opportunities/workshops to various student groups! Her mission as a librarian is simple: help students succeed. 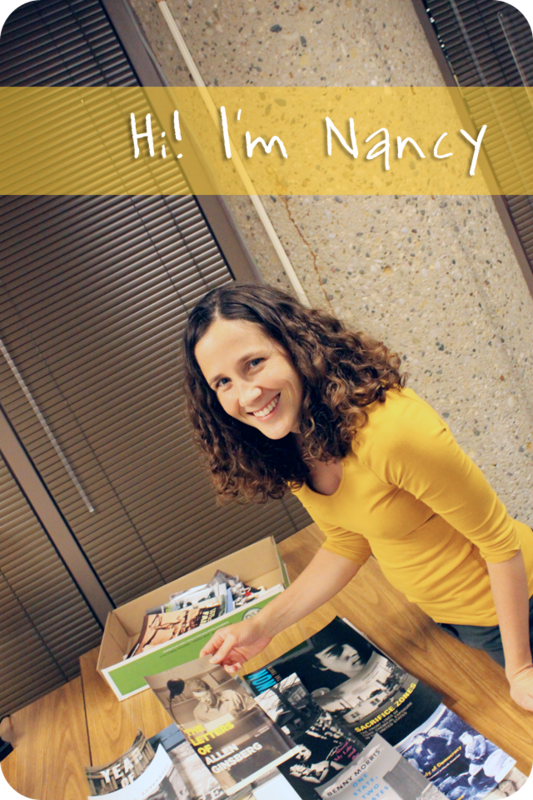 We hope you enjoyed getting to know Nancy better! Say hello the next time you see her at an event or working at the reference desk!